Britain used to be a nation of shopkeepers, but for how much longer? Over the past few months, a number of high-profile names have collapsed, including Maplin and Toys R Us, while other big retailers such as Mothercare, Carpetright, New Look and House of Fraser are considering closing stores to secure their future. But not every High Street is a ghost town. Rather, many have seen the usual butcher, grocer, shoe shop and ladies outfitter replaced by a different breed of business: a beauty salon, a hairdresser or coffee shop. Traditional businesses are being replaced by those operating in ‘the experiential economy’, to use industry jargon. The extent of this transformation is laid bare by recent figures from PwC, the consultancy firm. Using data gathered from 500 British High Streets and shopping centres, it calculated that the UK’s High Streets suffered 5,855 store closures in 2017, more than in any year since 2010, and witnessed 4,083 openings — a net loss of 1,700 outlets. The data offers a ‘state of retail snapshot’ because it focuses on net closures/openings of businesses with five or more outlets, rather than independents. 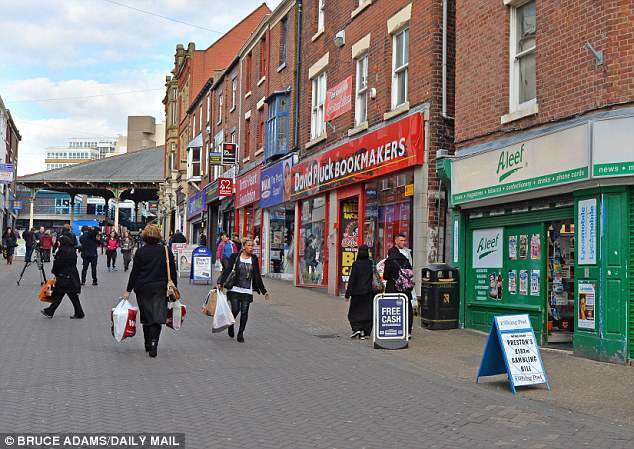 According to the British Independent Retailers Association, some 65 per cent of High Street shops are independent, and they have fared no better as soaring business rates, online competition and a harsh winter take their toll. 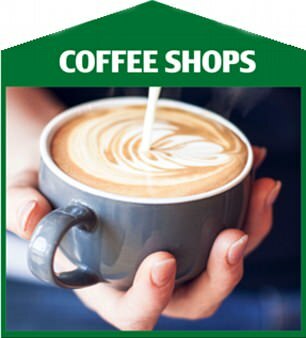 The casualties included pubs, fashion retailers, shoe shops, charity shops, travel agents and banks, while coffee shops, tea rooms, beauty product retailers, ice cream and funeral parlours all opened more outlets than they were closing. The Mail talked to some of the winners and losers about the state of the British High Street . . . and whether it has a future. Michelle Feeney, 54, made a name for herself as the chief executive of tanning brand St Tropez. Now she has moved into perfume, opening Floral Street in November last year. She is optimistic about the state of the High Street. ‘You have to make yourself a destination. Retail is alive and well if you make it exciting.’ What she offers is ‘edutainment’ — a place where customers can sign up for ‘scent tutorials’ as well as buying beauty. Ammanford is a small former mining town in Carmarthenshire. Scott James, 24, who founded Coaltown, a coffee roasting business, with his father Gordon in 2014 says he wanted ‘to bring some jobs back to the area’. Now he is doing well enough to supply Selfridges. In February, they opened a cafe, too, and now employ 11 people in total, including roastery staff. When the sun comes out, a queue ten-deep snakes outside the door of this tiny shop. 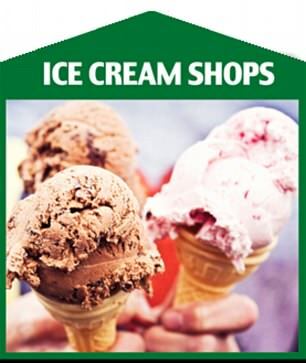 Opened last July, it has built up a loyal customer base for its ice cream, made on site by the twentysomething husband and wife team Ciprian Sumanaru, who used to be a plumber, and Iuliana, who used to work in Specsavers. The couple are Romanian but have lived in Italy and kitted out the shop (a former greengrocer’s) to resemble an Italian gelateria. ‘People seem to like the fact that the ice cream is homemade and say it makes them feel like they’re on holiday,’ says Iuliana. The shop benefits from not having to pay any business rates yet due to its relatively small turnover, and rental is cheap thanks to its location just off the main thoroughfare. ‘Businesses that ensure the very best customer experience have a future,’ insists Iuliana. At the age of 18, Daniel Claridge became Britain’s youngest qualified funeral director and, now 27, he launched his own business last October. 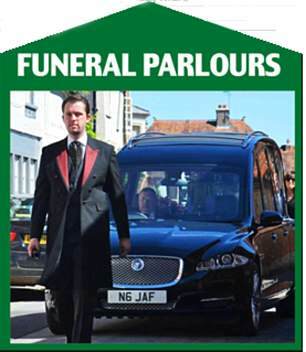 He expected to arrange 20 to 30 funerals in his first year but has clocked up nearly 50 so far. His parents, both former paramedics, help out in the business. He, too, is grateful for not having to pay business rates yet. 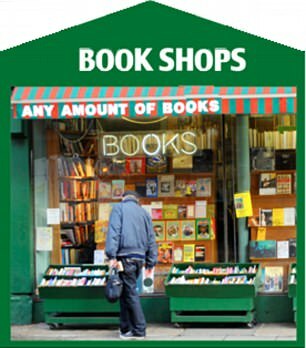 ‘Yes, there are a lot of threats to bookshops — online, supermarkets, deep discounting,’ say Georgia Duffy, the owner. ‘But there is still something special about a bookshop and a bookseller that still cares about authors.’ Her aim is ‘to put readers in touch with authors,’ and she invites writers to give talks at the shop, which are proving hugely popular. The 28-year-old, a qualified radiographer who put her job at Harrogate Hospital on hold to open her shop last summer, says conditions are tough and the costs of operating on the High Street are ‘weighted against us’, compared with internet retailers operating out of warehouses paying lower rents and business rates. Sam Gadd, 30, set up his barber shop last year and also offers ‘male beauty and waxing’. He pays £15,000 a year in business rates and £55,000 a year in rent. The costs are ‘astronomical’, but he says he wanted a large site. He says that he’s been profitable every month since opening, ‘but it’s quite tough’. Her boutique closed two years ago and the site, after remaining empty for some time, recently reopened as a waxing salon. David Marshall’s grandfather opened the shop in 1895 to sell boots and shoes to the local Yorkshire farming community. Today, this part of Bridlington is in decline, says David. The business, which has two other shops in the town, also sells shoes online, accounting for about 65 per cent of its turnover. ‘We can now sell more in a month online than that store could turn over in 12 months,’ he says, which is why he could no longer justify three outlets. With a ‘heavy heart’, he closed the original Victorian shop last month to turn it into office space and warehousing for the online business. Many retailers grumble that charity shops, which tend to enjoy discounted business rates, have an unfair advantage. But even they have started to feel the pinch. This branch closed, after 20 years, at the end of March. Parking restrictions introduced on the other side of the road had significantly affected the number of donations, she added. Over the past decade there has been a boom in supermarkets opening convenience stores — but that appears to be over. 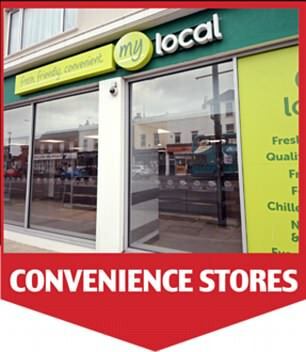 In 2016, the 130-strong chain of My Local stores went into administration. The prominent site of this My Local, on the corner of the Clayton Square shopping centre in the centre of Liverpool, has recently been taken over by McDonald’s, even though it has three existing outlets within 300 yards. Peter Mara, 50, has been landlord of this Victorian pub for 27 years. He will pull his last pint on May 29 when the pub closes. It is not yet known what will happen to the site, owned by the Wellington Pub Company, but many pubs in this area, near Arsenal’s Emirates Stadium, have been turned into flats. ‘I made a profit every one of the 27 years I’ve been here, but turnover has been steadily going down, and the cost of everything has just gone up,’ Peter says, pointing out that a case of house wine from the cash and carry has gone up recently from £25 to £32. His lease is up for renewal next month and given that it was due to increase substantially, he concluded that ‘the maths just didn’t stack up’. 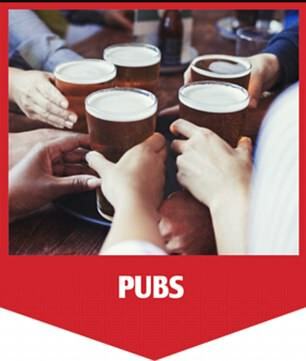 Competition from two nearby Wetherspoons and supermarkets offering cheap beer has hit custom — and changes in behaviour. 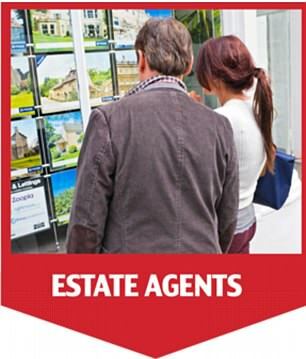 Hunters operates 213 estate agents nationwide. But the great majority are run by a variety of franchisees. This branch in Norwich was one of eight in the East Anglia region to close in February this year. Kudos Residential, who ran this particular franchise, went into liquidation with a loss of 21 jobs and owing £545,833 to creditors. In the past five years, however, a plethora of online estate agents have taken off, leading many traditional High Street branches to feel the pain. Countrywide, the UK’s biggest estate agency company, which owns Hamptons and Bridgfords, posted an annual loss of £212 million for 2017. The internet and low-cost airlines have dealt a double blow to High Street travel agents, leading to significant consolidation among the big chains. This former Co-operative Travel closed during 2017, one of a large number of Co-ops to be closed by Thomas Cook, which had been running them as a joint venture since 2011. At its peak in 2012, Thomas Cook operated 1,237 branches across the UK. By the end of this month there will be just 601. A company spokesman points out there is a Thomas Cook branch less than 100 yards away in Mansfield. North Street in Wareham is a handsome shopping thoroughfare, with a hardware shop, Post Office, butchers and bakers. But one of its key outlets, a NatWest bank, is closing at the end of May, part of a long wave of bank closure programmes instigated by its parent company, Royal Bank of Scotland (still 71 per cent owned by the taxpayer after the financial crash of 2008). 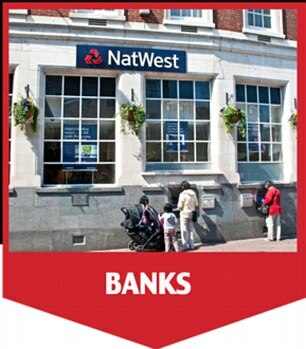 NatWest is by no means the only bank to be shutting branches. HSBC, which had 1,286 in 2011, now has 625.